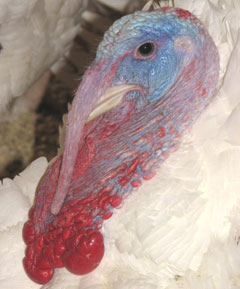 It’s been almost a week since state officials confirmed a very deadly version of bird flu in a turkey flock in northwest Iowa’s Buena Vista County and poultry producers statewide are staying vigilant to prevent the spread. So far, no new poultry flocks in Iowa have been impacted. It’s believed wild waterfowl are spreading the disease. The discovery of the H5N2 virus forced the destruction of the entire 27,000 turkey flock in Buena Vista County. While this strain of influenza is particularly deadly to chickens, turkey and other poultry, it hasn’t hit any people, but that doesn’t mean we’re immune. Olthoff is a communications specialist for the Iowa Turkey Federation, based in Ames. In addition to Iowa, cases of this type of bird flu are reported in Montana, Minnesota, Kansas, North and South Dakota, Nebraska, Wisconsin and Missouri.